ERS provides consulting services and expertise for national energy efficiency, renewable energy and sustainability programs. 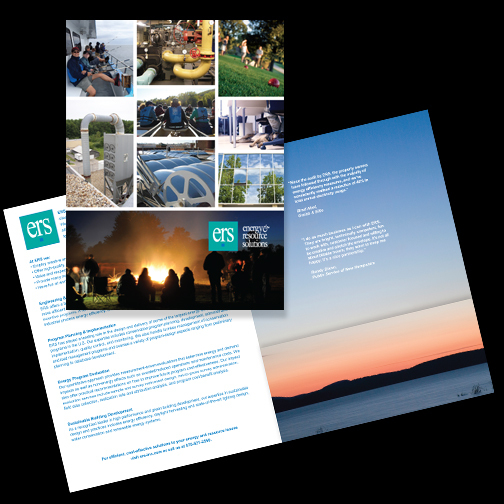 Vreeland produces all digital design and marketing for the firm so when ERS wanted a new corporate brochure, they asked us to do it. Their direction? To design a piece that reflects their unique personality – especially their topnotch experience, creative team members and innovative work environment. Vreeland produced a highly graphic brochure featuring a dynamic grid design that draws the reader in and showcases the ERS team’s passions and pastimes – at work and at play.